The political scene has been dark for Illinois since Barack vacated his seat. First former Gov. Blagojevich gets impeached and removed for federal corruption. 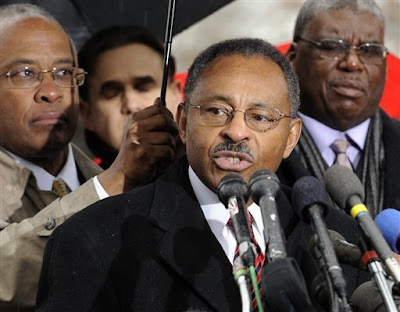 Now Barack's replacement in the Senate, Roland Burris, is possibly going to be probed for perjury in relation to conversations he had with Blagojevich, that he failed to mention when they were investigating the former governor of Illinois.